Amanda and her team provide a full range of design services from concept development to factory-ready specs. 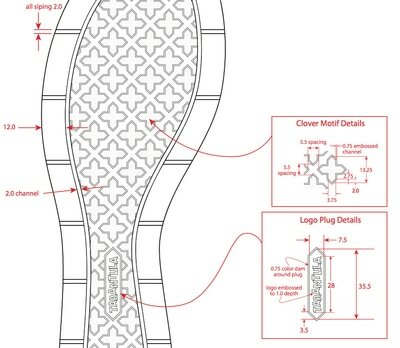 We design and develop constructions and outsoles to fit your unique specifications, and work from there to create modern, innovative upper patterns that work for your customers' individual aesthetic and lifestyle needs. 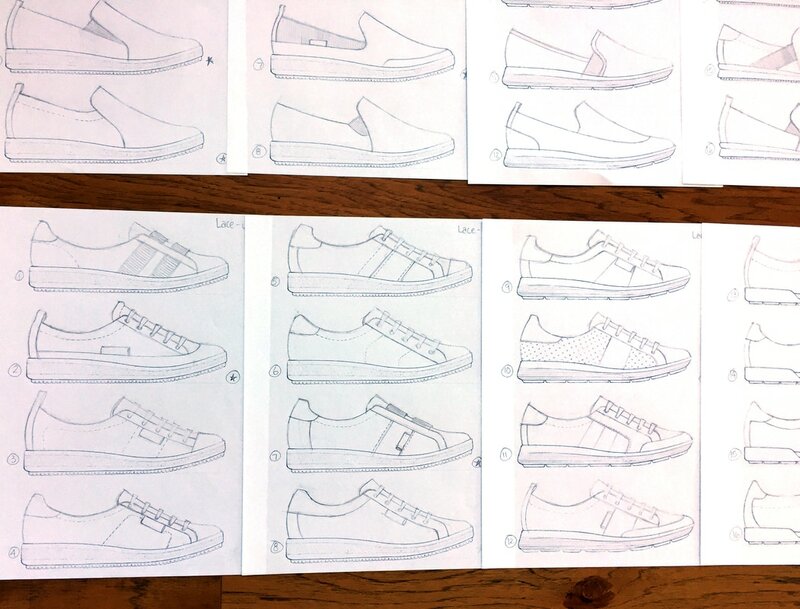 "The last comes first." 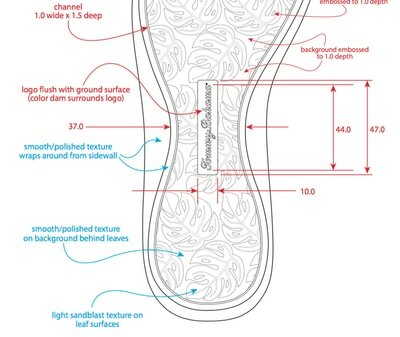 We start by identifying a last shape and a general design direction for the midsole and outsole. 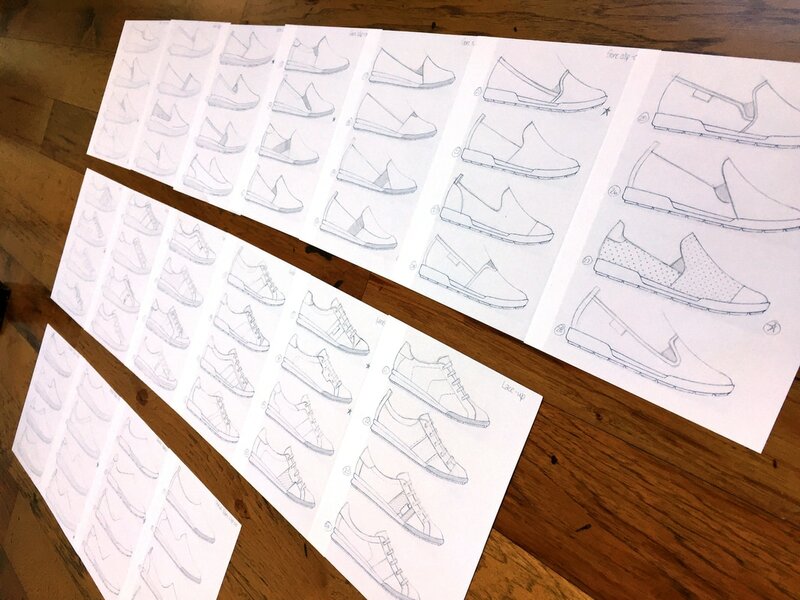 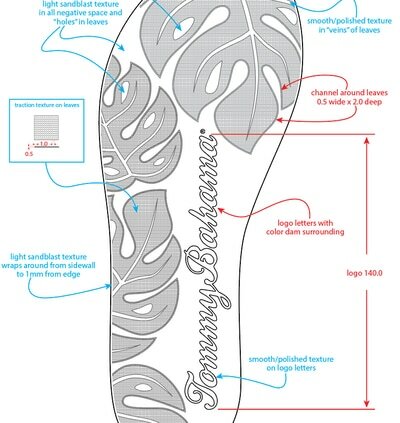 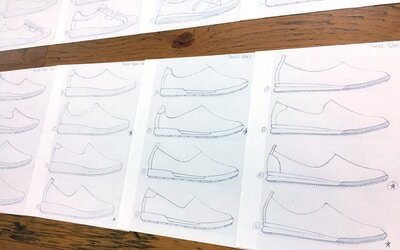 From there, we sketch concepts for construction and outsole designs and present them to you. 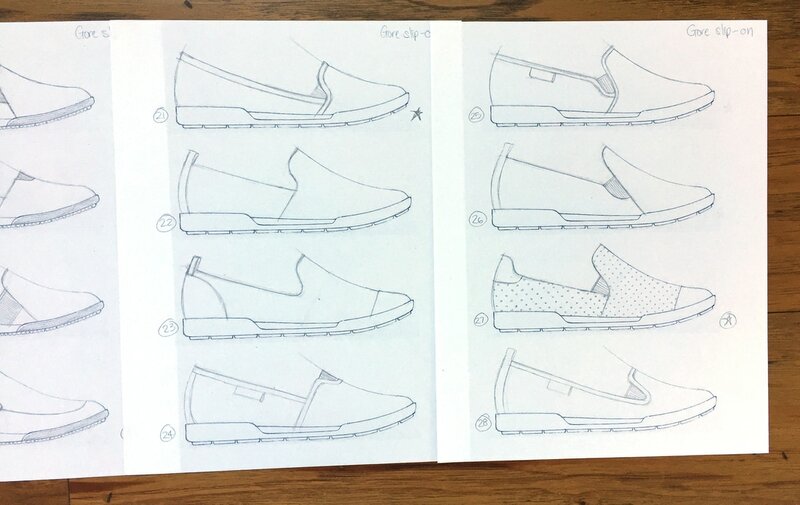 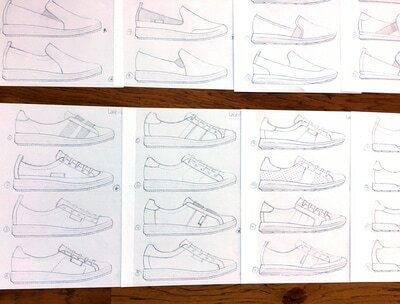 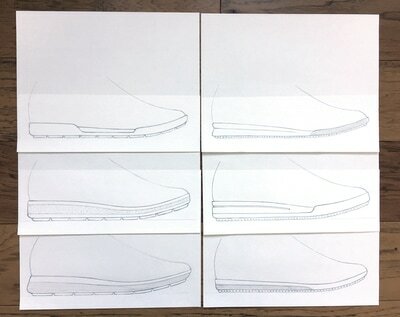 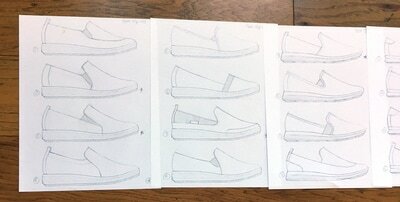 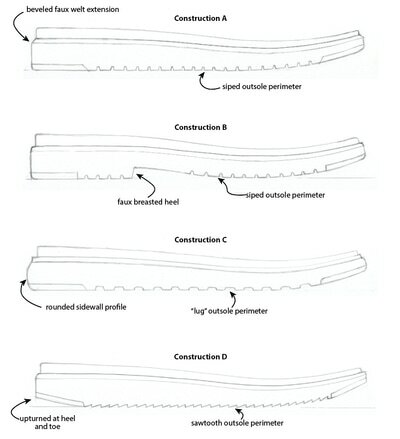 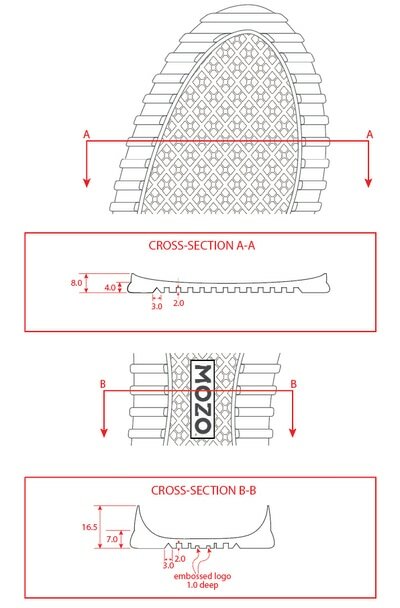 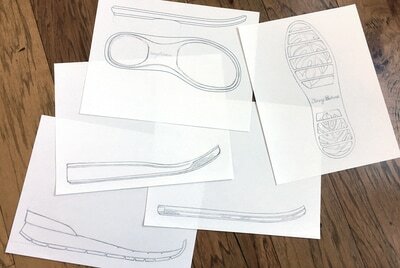 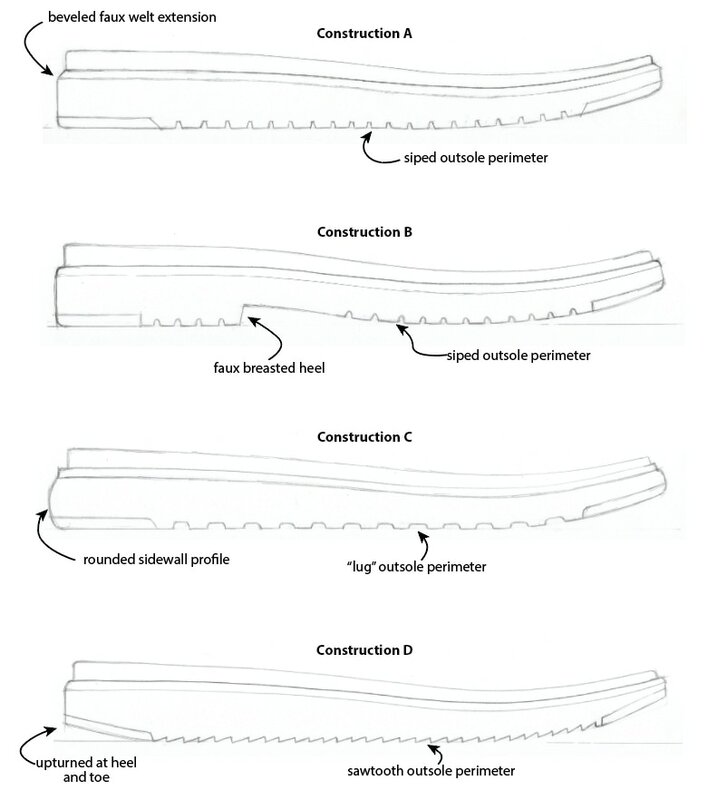 Below are some examples of construction and outsole sketches in various stages. 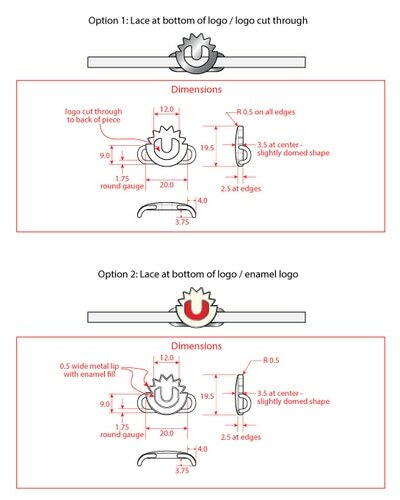 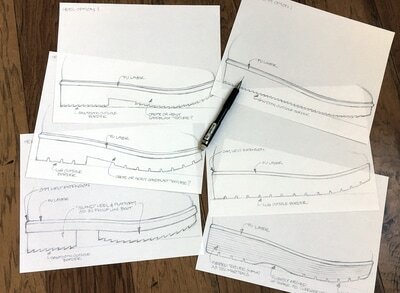 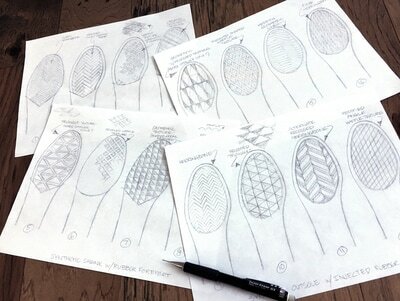 Our design process for upper patterns begins with thumbnail sketches to scale on the chosen construction options. Below are the concept sketches from one project. After exploring all of these ideas, Amanda and her team edited the options in order to present the client with a curated selection of designs to meet their needs. 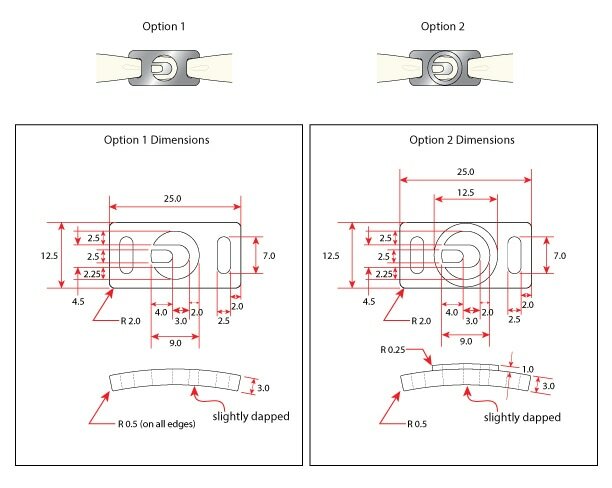 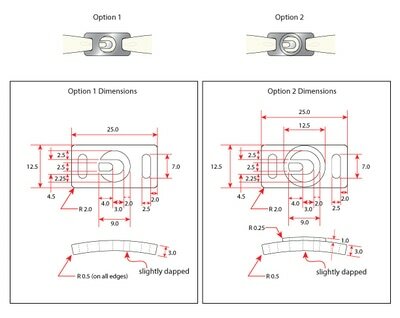 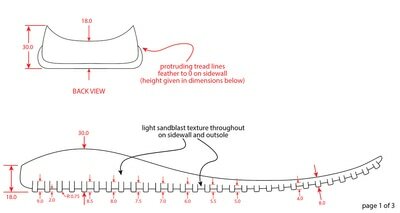 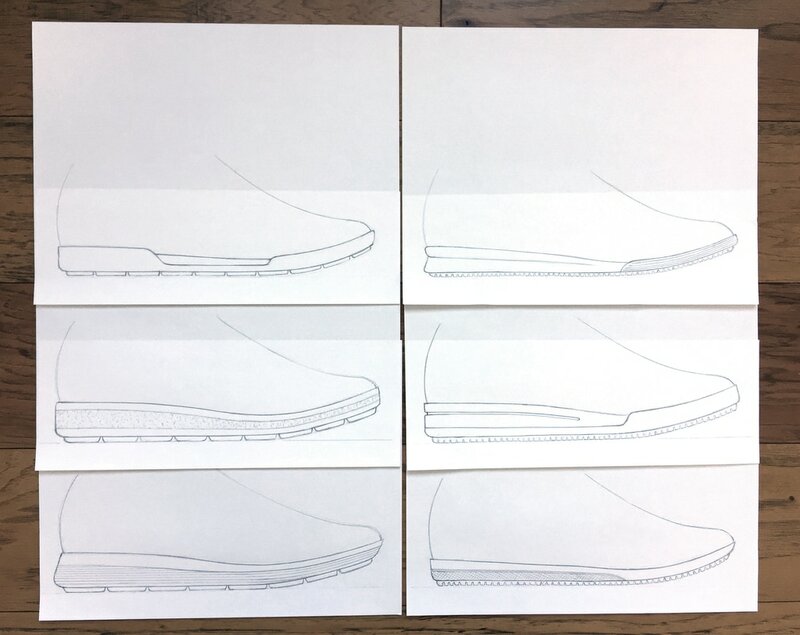 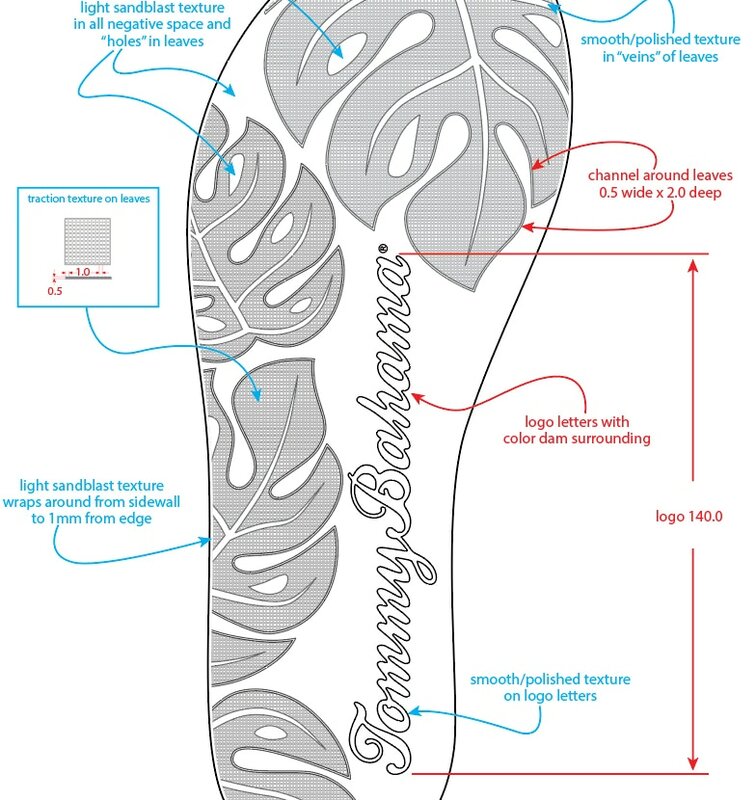 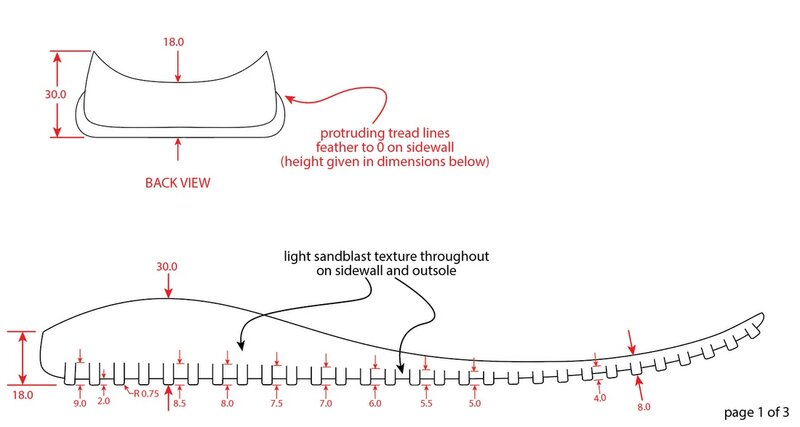 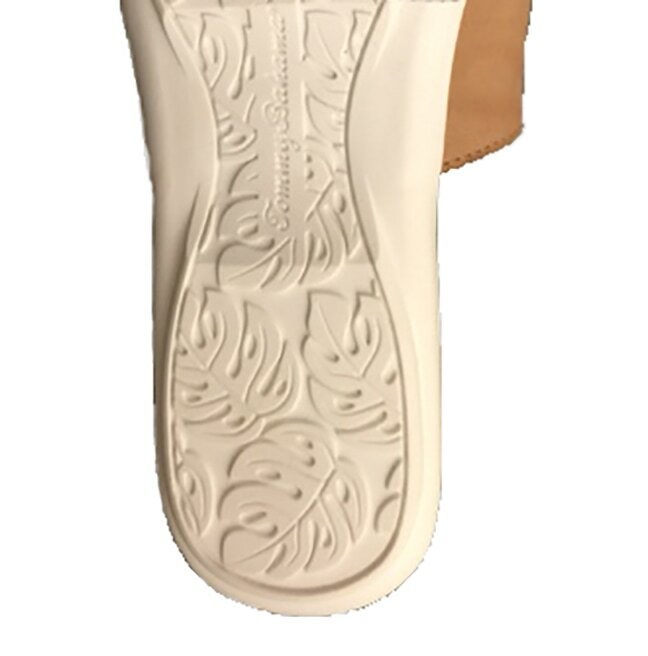 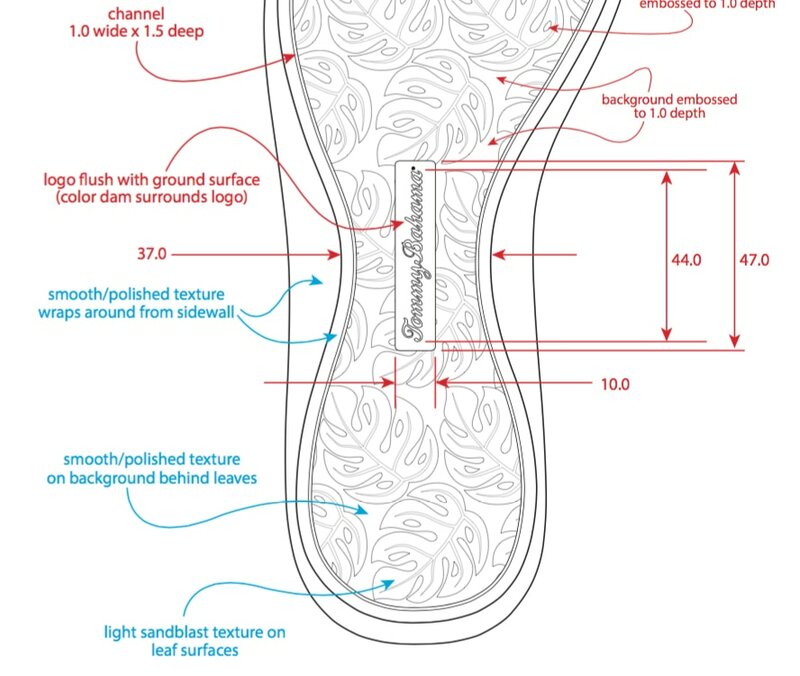 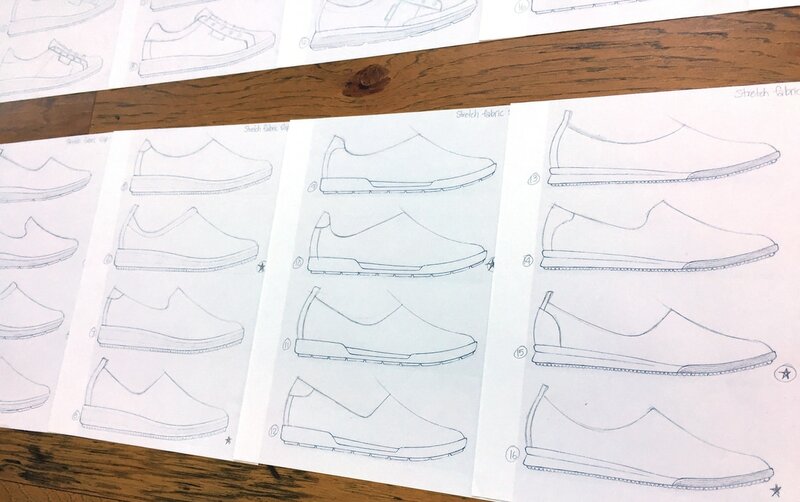 Once the designs are finalized, Amanda develops detailed specs that include all the information needed to develop your construction and outsole, including dimensions and cross-section views. 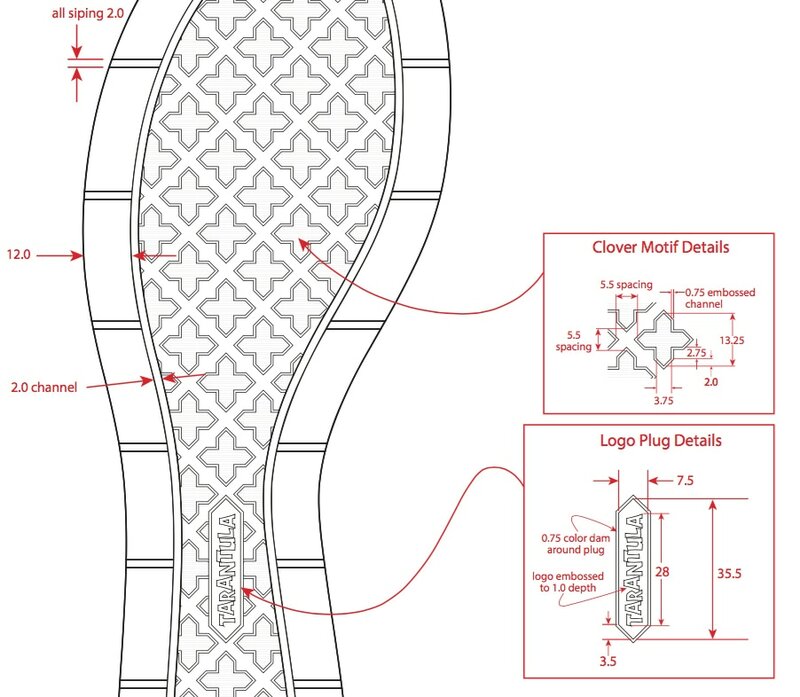 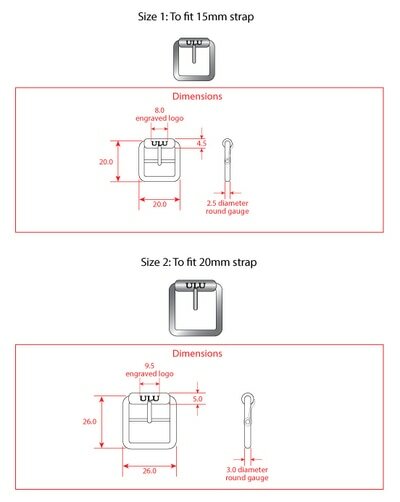 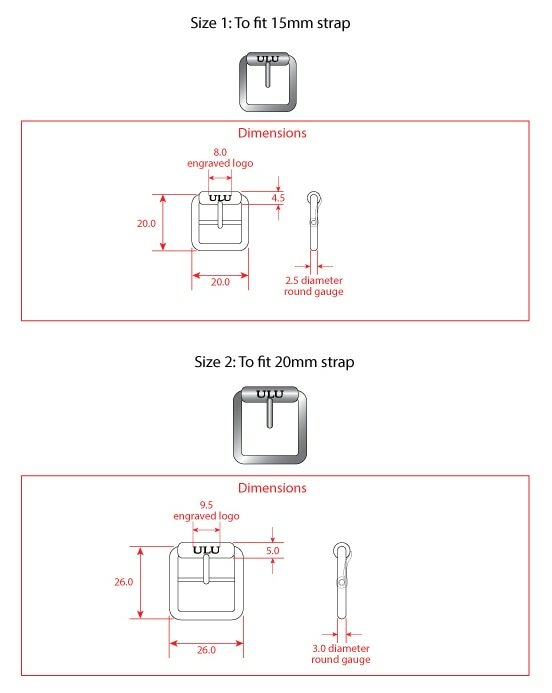 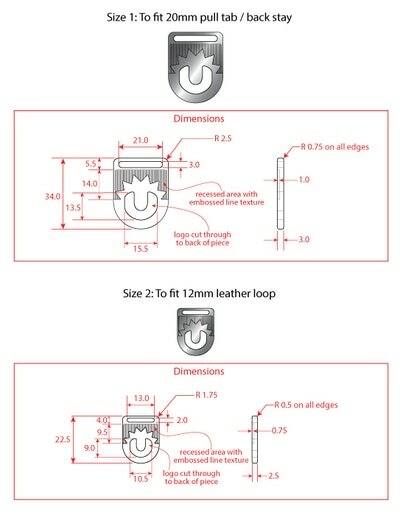 We can also design and develop custom branded hardware for use on your footwear and other items, including buckles, lace locks, strap hardware, rivets, and logo plates. 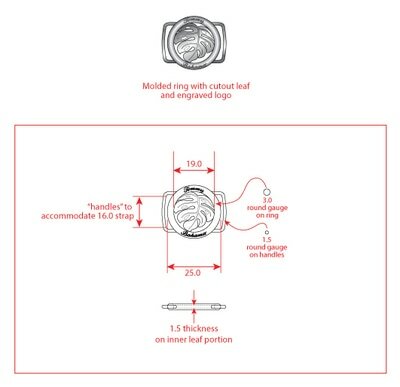 ContactPlease contact us to see how we might be of service to you!